The holiday season is a time for giving. We give time as well as gifts to family, friends, and others in our lives. But, it is also important to give to those we don’t know and celebrate the real meaning of the season. All ages can contribute their time by giving back to their community. It doesn’t have to be a huge amount of time, even the smallest project can make an impact. Need some ideas for giving back? Read below. • Visit a nursing home: This can be done as a family or with a group. Make cards and decorations beforehand and take them with you to give to the residents. Also, bring some holiday cheer by singing a few carols while there. Be sure to call ahead and schedule your visit. • Volunteer at a homeless shelter: When I was in elementary school, my Girl Scout troop volunteered at the Salvation Army shelter during December. We helped serve dinner, talked with the residents, and then sang Christmas carols. In addition, we brought bags filled with snacks, toiletries, and gloves and socks to pass out. Looking back this was one of my favorite memories of giving back during the holidays. Take some time and visit your local homeless shelter. Help with a meal or make bags to hand out.Personalize these care kits to the different types of shelters. For example, add more products for women if you are taking them to a woman’s shelter and don’t forget to include something for the kids. Want to make it resemble the holidays more? Fill a stocking with granola bars, water bottles, a toothbrush, and toothpaste, socks and gloves. • Donate to a food bank: During the holiday season, this act of kindness is one of the most common, but yet is still in great demand, especially after the holidays. Take your kids to the grocery store and let them pick out the nonperishable goods to donate to your local food bank or ministry with a food pantry. Also, pick up some toiletries to include with your donation. • Send Christmas cards to deployed soldiers or to your local veterans hospital: This simple act goes a long way. Be creative and create homemade Christmas cards for soldiers overseas and fore veterans at the veterans hospital. These cards will help them remember that people are thinking about them and their sacrifices for our country during the holidays. You can also prepare a care package to send with the cards. There are several organizations that help soldiersreceive the packages, such as Support Our Troops and Holiday Mail for Heroes. • Cook and bake: Cooking a meal or baking cookies is a great gesture to say thank-you to the various people in our lives. Prepare a casserole to freeze or a crockpot meal for your neighbors in need or take a meal to the employees at the police department, fire station, or EMS workers. Don’t want to do a meal? Bake cookies and sweets to give to neighbors, teachers, librarians, post office works, your mailman, and many more. • Deliver hot chocolate to the Salvation Army bell ringers: It can be cold standing outside stores, ringing the bells for a good cause. But you can make things warmer by bringing them hot chocolate. 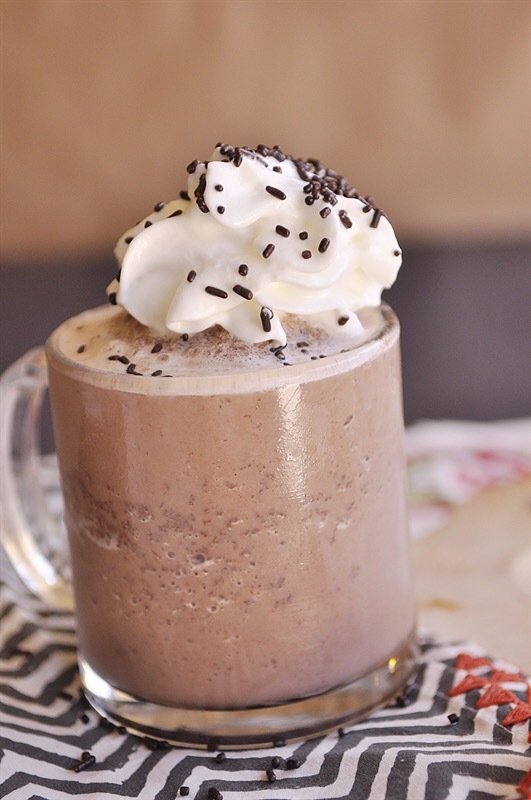 Make a batch and fill a thermos with the chocolate drink. Then, take cups and deliver the snack to the volunteers at various stores. In addition, bake some holiday cookies to take with you. • Clean out the toy box and closet: If there is a toy your child hasn’t played with in a while or a coat you haven’t worn in years, donate it to a local shelter or toy and coat drive. Someone will appreciate being able to give their child a gift this season or have something warm to wear when the weather gets cooler. Also, gather items for an angel on the Salvation Army’s Angel Tree or the holiday stocking drives. Whatever way you choose to give back, know you are making a difference in a person’s life. Yes, the holidays are a busy time, but there is always time to remember the reason for the season. It is always nice to give a loved one in your life a meaningful, handmade gift at Christmastime. But, where do you start? First, take a Mason jar (different sizes or types of jars can also work) and think about what kind of present you want to give. Is it a birthday present? Is it an anniversary present? However, the jar doesn’t have to be used as a gift. It can be a jar full of ideas for your family, spouse, or children. Below are a few ways to use a Mason jar as a gift, or in other ways. Date Night: In need of some date-night ideas? Fill your jar with strips of paper with ideas for you and your loved one to do. Some paper strips can be for game nights, movie nights, or having a meal together. The purpose of a date-night jar is that all of the ideas are inexpensive, yet meaningful. Create enough ideas to last a year. Another take on the date-night jar is to write reasons why you love your special someone. Give it to them on Valentine’s Day, their birthday, or your anniversary. Boredom Busters: Keep your kids entertained during the summer and school breaks. Take Popsicle sticks or strips of paper and write fun, creative ideas for your children to do. Whenever they are bored, have them pull out an idea and have a ball. Also, include activities for your whole family to do together. Maybe a family game night, places to visit throughout your town or elsewhere. Mixes: This type of jar is great for Christmas presents, especially if you need to make something in bulk. Prepare the dry ingredients of your favorite recipe for cookies, brownies, hot chocolate, etc. Attach the recipe’s instructions and be sure to mention liquid ingredients that need to be added. Movie Lovers: We all have someone in our lives that is a die-hard movie lover. They are always the first ones to see the latest blockbuster hit. The next time you are looking to give them a present, think about a movie lover’s jar. This jar can contain popcorn, candy, and gift cards to the movie theater. You can also package it with a few bottles of soda or a DVD. Spa Night: A spa in a jar is the perfect gift for a friend, mom, sister or aunt. Give it to them for their birthday, Valentine’s Day, Mother’s Day, or “just because.” All you need to do is include a face mask, hand-and-foot scrub, lip scrub, massage oil, bath salts, hand cream, foot lotion, and an eye mask. Also, add in a pair of socks and pieces of candy. Survival Kit: Jars are quick and convenient ways to hold and carry needed supplies. Survival kits can be used for college, a new parent, the first day on the job, and more. Think about the items a person needs the most when starting a new occasion or life event. They can also be used for holidays. For example, a bridesmaid survival kit could include a mini-sewing kit, safety pins, breath mints, lip balm, lint roller, polish remover, stain remover, nail polish, pain reliever, tissues, and bobby pins. Housewarming Gift: When a new family moves into the neighborhood, they will soon be greeted with welcome baskets, pies, cakes, and other gifts. But, do you know what will be a unique gift? Give them a housewarming jar full of items such as mini-champagne bottles, kitchen utensils, soap, colorful napkins, clothespins, Magic Erasers, and other cleaning supplies. You can also include local restaurants or helpful phone numbers on a strip of paper. 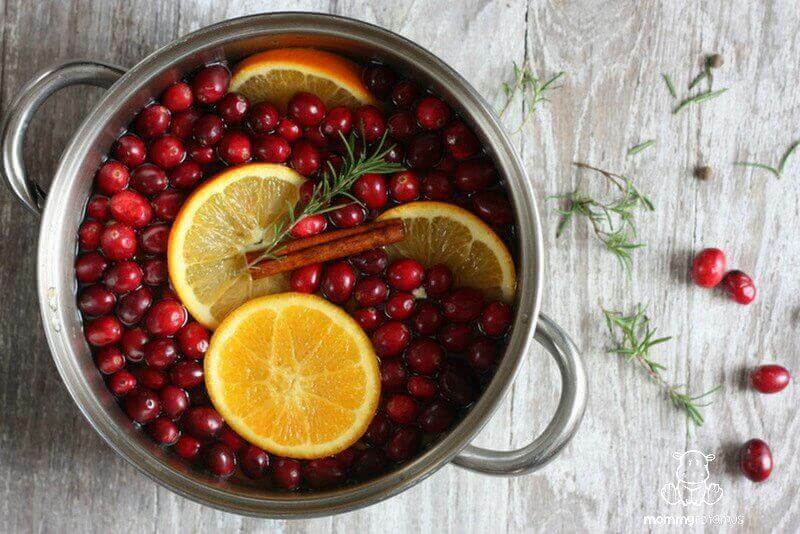 Another example is creating a sangria jar with the ingredients to make the popular drink. Color-Coded: Think of a person’s favorite color, then make a jar of items of that color. For example, if your friend loves purple, think of only purple things to include. This idea can be used for any type of present, whether it’s going off to college, a housewarming present, a birthday gift, and more. With any type of jar you choose, throw in as many items as you would like. Just remember to get creative and have fun! “Jingle Bells” – This famous holiday melody was originally written as a winter song and not meant for the holidays. There are different theories as to how the song originated, but the most well-known version was written by James Pierpont in 1850 in Medford, Massachusetts. The original title was “The One Horse Open Sleigh” and was inspired by the annual sleigh races throughout the town, hence the lyrics. Historians say Pierpont wrote the song for his father’s Sunday school class for Thanksgiving and it became so popular people, they sang it again at Christmas time. “I Have a Little Dreidel” – This tune is one of the most famous Chanukah songs in the English-speaking world. On the four sides of a dreidel, the letters “Nun-Gimel-Heh-Shin” are printed and represent the phrase “Nas-Godol-Hayah-Sham,” meaning “a great miracle happened there.” There are two versions of the song: English and Yiddish. The English version was written by Samuel S. Grossman and Samuel E. Goldfarb. Together, Grossman and Goldfarb composed the melody and lyrics. “O Tannenbaum” – Also known as “O Christmas Tree,” this traditional German carol’s first lyrics date back to 1550, but it became a classic in 1820 with August Zarnack coining the first verse. Four years later, in 1824, the second and third verses were added on by Ernst Gebhard Anschutz. A Tannenbaum is a synonym for a fir tree or Christmas tree. The practice of putting up a Christmas tree was popular in Germany during the time of the song’s writing, but wasn’t popular in England and America until later. “O Tannenbaum” didn’t become a classic in England and America until the mid-19th century, when the tradition of Christmas trees made their way over. “The Christmas Song” – “The Christmas Song” is one of the most well-known holiday songs and originated from a hot July afternoon in 1945. Stated in his autobiography, songwriter Mel Tormé says it only took him and songwriting partner Bob Wells 45 minutes to compose the classic tune. Images such as “chestnuts roasting on an open fire” were modeled after Wells’ childhood memory of the holidays in Boston. Once completed, the two contacted Carlos Gastel, the manager of Nat King Cole and Peggy Lee, and played the song to him. A year later, in 1946, Nat King Cole’s record of the tune came out and the rest is history. “It’s the Most Wonderful Time of the Year” – “It’s the most wonderful time of the year, with kids jingle belling and everyone telling you ‘be of good cheer.’” Written specifically for The Andy Williams Christmas Album, this song was created by George Wyle and Eddie Pola in 1963. The following year radio stations picked up the tune and began playing it on a regular rotation. Since then, “It’s the Most Wonderful Time of the Year” has gotten more airtime with every coming year, making it a holiday classic. Whether you spend the holidays humming “tis the season to be jolly” or “oh, dreidel, dreidel, dreidel,” there’s sure to be a song stuck in your head. Now, you’ll be able to tell everyone how these popular holiday songs originated. Many exciting things are happening and I’m so happy to share them with you. As I sit writing this post, there is 14.5″ of snow outside my window. We are on snow day #3 from school and will have snow day #4 tomorrow. There is just something magical and peaceful about snow at Christmastime, don’t you agree? Since I’m snowed in, I’ve had time to plan and think about where I want to take this blog. If you haven’t noticed, the blog has been designed! I decided it was time for a change and finally landed on a layout I love. There are still a few more edits to make, but overall, the blog is updated and easier to use. New additions to the blog include a shop! Yes, I’m linking my Teachers Pay Teachers shop to my site for all the hard-working educators. Also, I’m working on a fun Easy shop that will be debuting soon. These shops are the perfect places to get resources for teachers and gifts for you or a loved one. For the next 12 days, I’ll be bringing you Christmas fun and joy in my 12 Days of Christmas! On our first day, I give to you —– shortbread bites! Preheat oven to 325º. In a food processor or blender, pulse flour, sugar, salt, vanilla, and butter until combined. Move mixture to a large bowl and knead until combined. Add sprinkles and knead. On waxed paper, roll dough into a thick square. Freeze for about 15 minutes. Cut dough into 1/2″ squares and place onto a greased baking sheet. Bake until cookies are golden, 18 to 20 minutes. Check back tomorrow for day #2. For many people, it is a Christmas tradition. Sitting down with your loved ones and watching the timeless program, A Charlie Brown Christmas, which premiered on December 9th, 1965. Many people watch this story each year in December. But, have you ever asked yourself what makes this classic so memorable and a favorite of so many? During Christmas, a feeling of nostalgia is in the air, and every smell, sight, film, etc. can trigger a beloved memory for most people. This is exactly what happens with A Charlie Brown Christmas. Within the first few minutes, as viewers watch the characters ice skating, and the song “Christmastime is Here” plays in the background, they are taken back in time. They remember special moments spent with family and Christmas memories from long ago. According to writer Mike Errico, in his article, “The Real Reason You Love A Charlie Brown Christmas,” jazz pianist and film composer Vince Guaraldi’s use of sounds and pictures created an “emotional resonance.” Plus, the characters are voiced by children, not adults, adding a child-like enjoyment to the story. After all, doesn’t everyone feel like a child again during the holidays? Along with the music and children’s voices, the film is remembered because of its premise. A depressed Charlie Brown is on a “search” for Christmas cheer. He is fed up with the commercialism of the holiday. To help with his journey, friend Lucy asks Charlie Brown to direct the neighborhood Christmas play. However, things don’t go as planned and chaos occurs. All the characters have different opinions, but for Charlie Brown, all the play needs is the enchantment of a Christmas tree. He and friend Linus go shopping and end up with a tiny twig of a tree. Once the two return to the rehearsal, their tree isn’t a big hit and a frustrated Charlie Brown asks if anybody knows what Christmas is all about. In the end, Linus saves the day by reciting the story of Christmas, Luke 2: 8-14. In addition, throughout the film, Snoopy is up to his traditional antics, making the loveable pup even more treasured. The story concludes with the Peanuts gang finding the meaning of Christmas, which doesn’t involve presents, glitter, or decorations. A Charlie Brown Christmas is full of memorable and meaningful symbols that almost everyone can connect to. There is the tree; the tension of the commercialism of Christmas; coming together to help a friend or loved one; and discovering the message of the holiday. One reason these elements are easy to relate to is because these are the things some people are feeling during the month of December. A Charlie Brown Christmas reminds us of what is important and what is not. It gives the Christmas message to generations throughout the world. In addition, it shows that material objects aren’t the full representation of the holiday and that you can take the tiniest, unpleasant-looking thing and make it beautiful, like Charlie Brown’s Christmas tree. When the show premiered on CBS, the network expected it to flop and be the end of Peanuts. However, people knew the program would be a success just by its broadcast when it was watched by more than 15.4 million viewers. Since then, ACharlie Brown Christmas has become the second-longest running Christmas program in history. Also, the program has inspired the television Christmas tradition of running half-hour animated specials, such as How the Grinch Stole Christmas and Frosty the Snowman. Throughout the years, A Charlie Brown Christmas has become a Christmas staple. Peanuts creator Charles Schulz produced a timeless and relatable holiday story that is packed with nostalgia, a sense of melancholy, and meaning. Just as Linus said, the program describes “what Christmas is all about. I got a Christmas present I didn’t ask for you this year – a horrible cold. No one wants to wake up Christmas morning unable to breathe and coughing up a storm. However, after using these seven home remedies, I’m on the mend to feeling better. Salt Water – Gargling salt water can help prevent upper respiratory infections and decrease the severity of cold symptoms. Dissolve 1 teaspoon of salt in a full glass of water. Swish around in month and throat. Then, spit it out. Warm Baths – Take a warm bath with Epsom salt and baking soda. Cold and flu symptoms and body aches can be reduced with the warm water. Also, try adding a few drops of essential oils for a soothing effects. Some options are: tea tree, juniper, rosemary, lavender, or eucalyptus. Heat Up Your Sinuses – Hold a hot pack or hot washcloth to your sinuses for a few minutes. Reusable hot packs can be purchased at drugstores. Be careful to not make the pack too hot. Honey – A spoonful of honey before bed helps decrease nighttime coughs. Cinnamon – Naturalists loved this spice, because of its healing effects, such as easing a dry or sore throat. Boil one teaspoon of cinnamon in a glass of water and drink. For an extra effect, mix it with pepper powder and honey. Take Vitamin C – You can get a dose of vitamin-C through a supplement or foods, such as citrus, green peppers, dark lefty greens, and kiwi fruit. Lemon – The acidic effects of lemons help eliminate bacteria from mucous membranes. Chopped one lemon into half and keep the skin on. Place in a boiling cup of water and let it steep for a few minutes. Inhale the steam. Use these home remedies whenever you feel under the weather and you’ll feel better soon!